Last week, we showed you how easy it is to create a sculpture in the air with Sculpting and get it delivered straight to your mailbox. But what if you could cut out the wait? What if you could walk into a shop with an idea, and come out with an object in your hands? Despite being around since the 1980s, 3D printing has exploded in the last few years to become a real revolution in the making. But between the industrial 3D printers that churn out high-tech prototypes, and the home printers that you can buy for a few hundred dollars, there’s a wide world of possibilities that most of us never see. That’s all changing with 3D printing shops, which are cropping up around the world to transform their communities and change how we think about everyday objects. Here are five ways that 3D printing shops are changing how everything is made – plus a cameo appearance from a certain device that lets you sculpt virtual objects in thin air. 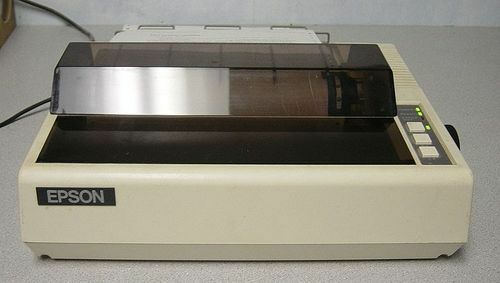 Remember dot-matrix printers? Loud, slow, and imprecise, they were largely replaced by inkjet printers that can quickly print in vibrant colors. For most of us, 3D printing is currently in the dot-matrix era, limited to rough edges and a single color of plastic materials. But as William Gibson often said, “The future is already here – it’s just not very evenly distributed.” While these limitations are being smoothed away as we move gradually into the “inkjet” age, 3D printing shops like Sculpteo and Blu-Bin are already at the forefront with cutting-edge devices that would be too expensive for occasional home use. Plastic, sterling silver, wax, spray-painted resin, oven-glazed ceramic – you can print almost anything to fit your needs with a unique look and feel. Instead of small hunks of plastic, you can make custom jewelry, elaborate figurines, personalized phone cases, and lots more. This is the next generation of 3D printing. Since the Industrial Revolution, we’ve taken it for granted that it’s cheaper to buy a chair created with a $10,000 machine than a hand-carved version, because the machine makes hundreds of chairs every day. At the same time, however, we’ve sacrificed the ability to customize the things around us. Individuality has become a luxury. Except now, you’re not buying the object that other people have designed for mass markets. You’re buying the use of the machine, and you can design and create anything you want. With the higher-quality machines at 3D printing shops, the old problem of scale is turned on its head – now you’re in control of what rolls off the assembly line. When that happens, the only limit is your imagination and the tools you have at your disposal. These classes provide a first glimpse into the magic of 3D printing technology and production for students of all ages – fostering design skills they can bring into their creative and academic lives. But this isn’t the first time that kids have reached out to create fun 3D printable designs in the air. In October, the designers at Hot Pop Factory let visitors at Toronto’s Mini Maker Faire create 3D drawings with a Leap Motion Controller, which became plastic sculptures before their eyes. The rising popularity of 3D printing wouldn’t be possible without design tools that work in three dimensions. Recently, Blu-Bin CEO Daniel Riley equipped the shop with a Leap Motion Controller, so that students can use Sculpting as a 3D model creation platform. Now they can pull, prod, paint, and sculpt the contents of their imaginations in the air, then watch spools of material spin the object into reality. Of course, Sculpting is just one early step as we explore the potential of touchless interaction. The number of creative tools in Airspace is growing all the time, with apps like Ethereal for Photoshop and Deco Sketch opening up new possibilities for 2D designs. Back in November, we saw how industry professionals at Autodesk are pushing the boundaries of 3D model design with their plugin for Maya 2014. In the same way that the Internet made content creation more democratic and accessible to everyone, 3D printing makes it possible for almost anyone to create lasting physical objects from their own designs. Just like stories and pictures on the web, we’ll soon be sharing and trading 3D object models to be modified, remixed, and reimagined. It’s already happening on Sculpteo, where you can discover all kinds of wonderful and curious designs. Local shops like Blu-Bin have an important role to play in taking 3D printing out of science fiction and into everyday life. Riley is working with the Burlington school district and libraries to expand the program into an after-school curriculum with the hope that exposure to Sculpting and other 3D modeling tools at an early age will provide a jumpstart for the next generation of makers and designers. We’d love to know – what would you like to create with this powerful new technology? Know an awesome 3D printing shop in your area that could benefit from bringing Sculpting into their sculpting tool kit? Tweet us @LeapMotion with the hashtag #PrintMyLeap or write us on Facebook. You can also join our #PrintMyLeap forum thread to talk about design ideas and the possibilities of universally accessible 3D creation.